In the realm of business ethics, the line between virtue and corruption can blur. Can religious values help business leaders achieve redemption and make moral decisions when faced with complex situations? These types of dilemmas will be explored at California State University, Northridge’s fourth annual Maurice Amado Foundation Lecture in Jewish Ethics on Wednesday, March 1. The lecture — titled “Everyday Redemption: Performances of Hope” — is scheduled to take place at 7:30 p.m. at Valley Beth Shalom Synagogue, located at 15739 Ventura Blvd. in Encino. Moses Pava, the dean and the Alvin Einbender Professor of Business Ethics and Professor of Accounting at the Sy Syms School of Business at Yeshiva University, will be the featured speaker for this year’s lecture. Pava’s areas of expertise include business ethics and the interface between religion and business, among other subjects. “I will be introducing several ancient rabbinic stories related to the upcoming Jewish holiday of Passover,” Pava said. “These stories clarify the Jewish concept of redemption in the real world. I will explore these stories interactively with the audience and we will focus special attention on how these narratives can provide sources of hope during a moment of intense uncertainty and anxiety. “As dean of the business school of Yeshiva University, I am especially interested in how these texts can inspire contemporary business leaders to broaden their perspectives on the unique role of business in helping to face today’s unprecedented challenges,” he added. Jennifer Thompson, CSUN’s Maurice Amado Assistant Professor of Applied Jewish Ethics and Civic Engagement, said she hopes Pava’s lecture might inspire listeners to contemplate the nuanced nature of ethical dilemmas and the value of seeking their solutions. 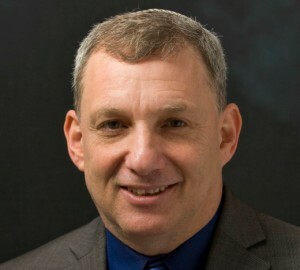 The Amado Lectures are part of the mission of CSUN’s Jewish Studies Interdisciplinary Program endowed professorship, which was created with the understanding that whoever holds the position would teach and engage in scholarship drawn from the heritage of Sephardic, Ashkenazic and other Jewish traditions. The lectures “extend the work that I do in Jewish ethics by bringing other experts in as well,” said Thompson. CSUN offers both a major and minor in Jewish studies. The program explores the rich heritage of the Jewish people. Using the methods of different academic disciplines, it examines the experiences of Jews in the many lands in which they have lived over the past 4,000 years, as well as contemporary Jewish life in Israel, Europe, Asia and the Americas. The lecture is free and open to the public, but seating is limited. For more information or to RSVP, call (818) 677-4724 or email jewish.studies@csun.edu.